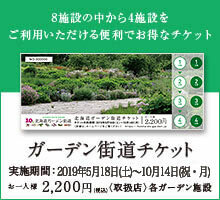 We received the following application for "Garden Treasure Hunt" from 7th September to 6th October of 2013. On November 6, we got a strict drawing and the following people were elected. ◎ The number of winners did not reach 14 name, so the correct 7 name was elected. We sent out the prize on November 9th.